As the year draws to a close it is a great time for you to focus on the previous year and plan for the year ahead, but unless you have a good grasp of your accounts how do you even know what you are looking at or where you should be spending more or less money? While it may not yet be financial year end, it does quickly come round, so take the time to go through those sales receipts and invoices while your business is quiet, check them with your bank account to make sure it all matches up. 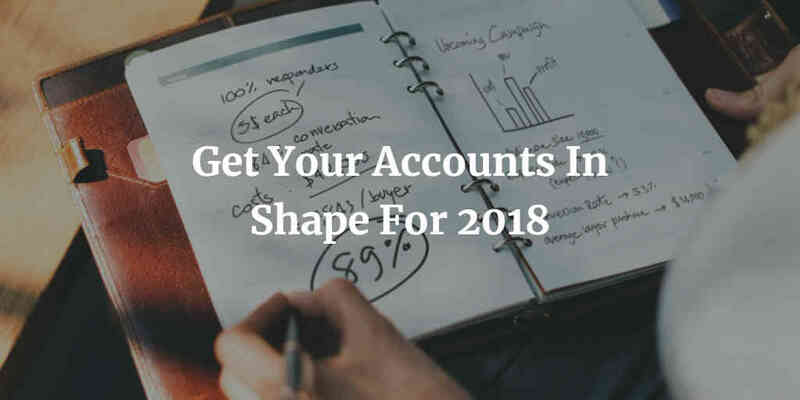 If you have a quality accounting software like Xero you’ll be feeling very pleased with yourself right now as this is already done for you so you’re already a step ahead of the game. Talk to your accountant; as a Xero Accountant in Peterborough myself, I can assure you that we are not scary and we will happy to talk through your accounts with you to give you a rough idea of what your tax may be, any areas for improvement or things to be aware of. We can also prepare to help you save the right amount of money, but also avoid any big and unpleasant surprises. Take the time to look at how far you have come over the last year; has the business grown, how do your revenues and profits look when compared to the year before, are your sales trending up (if you’re using Xero Accounting you can see this on your sales graphs), did your sales expenditure give you any cause for concern and perhaps most importantly; did you achieve your goals set at the beginning of the year? Tax laws and regulations are always changing so now is a good time to see what has changed in the past year and what is expected to change in the upcoming year; give your accountant in Peterborough a call and they will be able to send you links to articles you need to be aware of for your business or industry. The end of the year is also a good time to update your payroll and do things like hand out bonuses, save time by paying employees electronically and review employee status; remember if you get your employee status wrong this can cost you money as you may be penalised by the government. If you would like to start the New Year with a new Xero Accountant in Peterborough then why not give us a call; we would be happy to have a chat with you about how we can help, what we can offer and why Xero could save you time and money! When Does My Start-Up Need To Start Paying VAT?